'Impact' was directed by Lee and narrated by Robinson's daughter, Sharon Robinson. The campaign, which was envisioned and executed by Dentsu Aegis Network with Isobar handling creative and Vizeum on media, follows the Jan. 31 centennial of the birth of legendary Dodgers Hall of Famer and civil rights icon Jackie Robinson and precedes Jackie Robinson Day, a celebration of the day Robinson first took the field for the Brooklyn Dodgers, April 15, 1947, becoming the first African-American to play in the league. 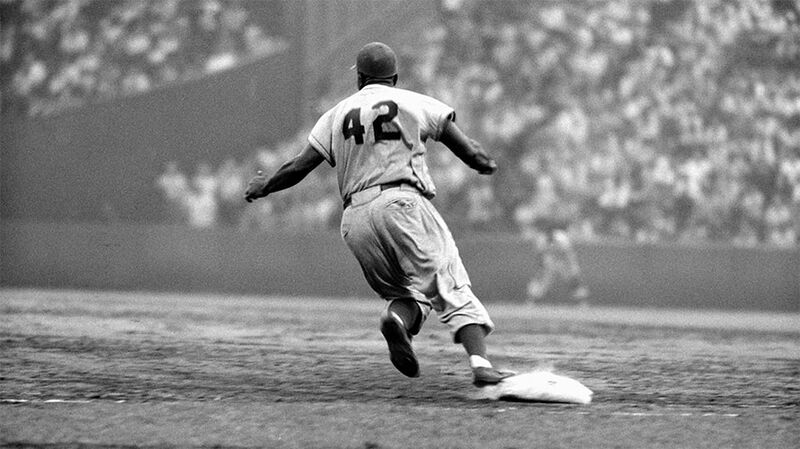 A season-long campaign, “Impact” debuts with an ad directed by Spike Lee and narrated by Robinson’s daughter, Sharon Robinson, also called “Impact.” The spot combines documentary footage of Jackie Robinson with a dramatized scene of patrons enjoying Budweiser and celebrating Robinson’s monumental accomplishment. While the product integration of that scene may seem a bit forced, the overall celebration of Robinson feels heartfelt and is tied to financial support. 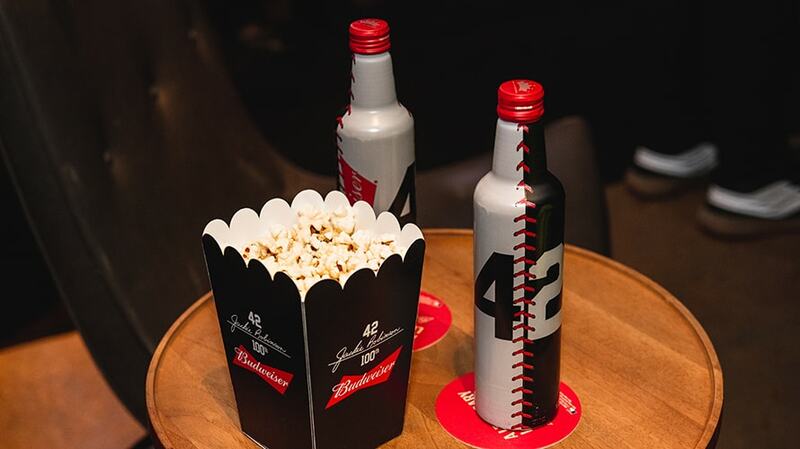 AB InBev is partnering with the Jackie Robinson Foundation, including a financial commitment to ensure the Jackie Robinson Museum opens in 2019. 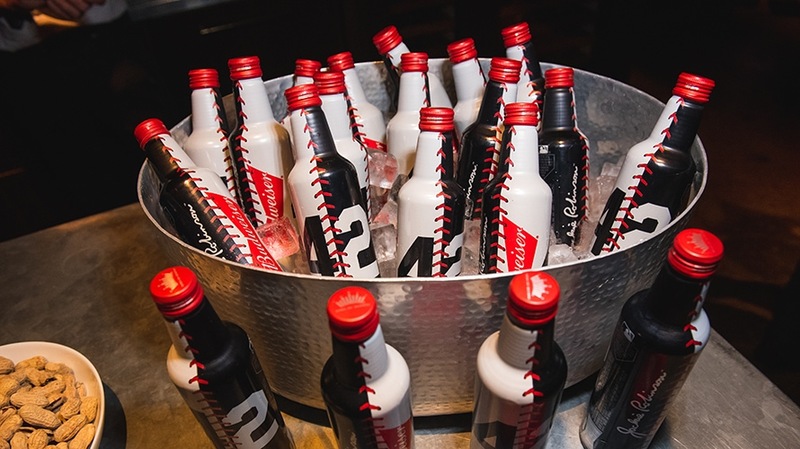 The brand will donate 42 cents from every bottle of limited-edition Jackie Robinson Budweiser sold during the 2019 MLB season to the foundation. Budweiser is also calling on viewers to donate to the foundation. 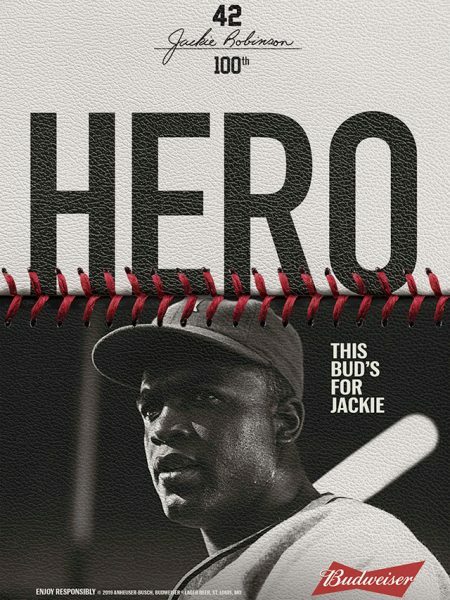 “This was only possible through the close collaboration with Spike Lee and the Jackie Robinson Foundation for over a year; there was a lot of passion and dedication from everybody involved to ensure that we created something special,” Ricardo Marques, group vice president, marketing for core and value brands at Anheuser-Busch told Adweek. He said the brand worked in close collaboration with the Jackie Robinson Foundation and Sharon Robinson to partner with Lee, who is a friend of the Robinson family. 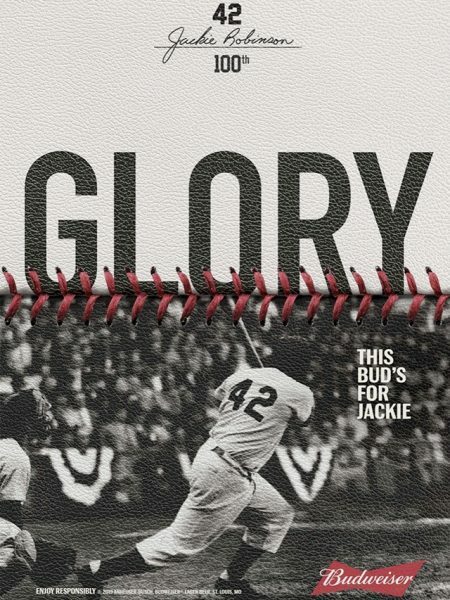 Marques told Adweek the brand will “raise a Bud to celebrate the 100th anniversary of Jackie Robinson’s birth” on opening day, which is Thursday, and that it also had “exciting plans” in store for Jackie Robinson Day on April 15 as part of the campaign. Roberto Scafuro, Juliana Rabecchi, Renata Jay.